What is a floral style perfume? 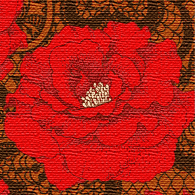 The floral style focuses on flowers. 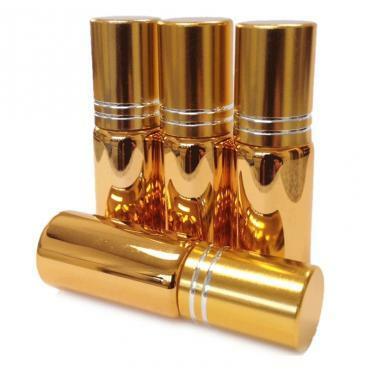 There are 5 types of floral perfumes - soft floral, fresh floral, classic floral, tropical floral or floral oriental style. Examples of soft florals are tea rose, lilac or sweet pea. 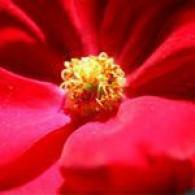 Classic floral examples are Damascan rose and jasmine grandiflorum. 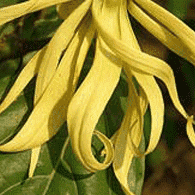 Ylang ylang, tuberose and champaca are tropical floral examples. A floral oriental combines rich and woody floral notes. 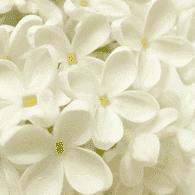 An example of a green or fresh floral is pikake jasmine or violet. Big Sur natural perfume combines notes of black sage, moss, smoke, dr..
Big Sur natural perfume combines notes of black sage, moss, smoke, dry grass, sea-mist laden redwood and incense, wrapped in sultry champaca, a West Indian magnolia both floral and spicy and often burned at ashrams as incense. Big Sur is equally suited to both women and men.Click here to check out celebrities that selected Big Sur. To see it in magazines click here.Jane's inspiration: Some call Big Sur the greatest meeting of earth, ocean and sky. Others say it's a portal to inner consciousness and creativity. Perhaps that's why writers, artists, poets and visionaries from Henry Miller to Jack Kerouac to Michael Murphy were drawn there to find inspiration and healing. Big Sur inspired Jane to capture its scent essence. And the first bottle went to Alanis Morissette. As fate would have it, Alanis was recording a tribute to Big Sur at the same time. Fate or destiny? Perhaps Big Sur calls to you! Contains: Our proprietary formula of 100% natural essential oi..
An ethereal combination rare and precious tropical essential oils -..
An ethereal combination rare and precious tropical essential oils - blue lotus flower, green tea leaf, red jack boronia flower, star jasmine, champaca and oudh wood bathed in smoky sandalwood incense.Click here to check out celebrities that selected Shambhala. To see it in magazines click here.Jane's inspiration: Shambhala, the mythical kingdom somewhere beyond the Himalayas and now a modern metaphor for the spiritual path to peace, tranquility and mindfulness. Breathe it in. Perhaps you will experience your own "scent-lightenment" on the road to Shambhala!The ingredients of Shambhala are known to influence the crown chakra - so if you are purchasing the fragrance oil roll-on, we recommend the amethyst stone. Amethyst is said to possess the same healing energy as the plant oils in the formula. It attracts wards off negativity and attracts bliss, connection and inner peace.Contains: Our proprietary fragrance composition of 100% natural essential oils and abs.. This deeply sensuous blend begins with tangy blood orange, followed.. This deeply sensuous blend begins with tangy blood orange, followed by intoxicating night-blooming jasmine. It's pulse quickens with luscious dark chocolate enveloped in smoky oudh wood and nag champa incense. Careful! It's a potent aphrodisiac! Just ask those that were at Woodstock...well, if they can remember!Click here to check out celebrities that selected Summer of Love. To see it in magazines click here.Jane's inspiration: San Francisco. Haight Ashbury. Monterey Pop Festival. Woodstock. Make love, not war. It was a counter-cultural movement - the Summer of Love - and people were out to change the world. And powerful inspiration came from students and artists like Joan Baez, Jimi Hendrix, Janis Joplin and Bob Dylan. Hey that sounds like today as well! Anyway, Jane and Ajne may not have changed the world (yet! ), but C Magazine referred to us as "reinventing the world of scent." So that's a start! The ingredients of Summer of Love are known to support the ..
A complex, soft tropical floral that some say captures the essence of the parks in Paris and the French countryside after the rain. 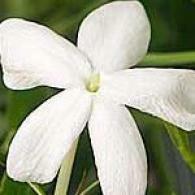 The top note features soft, white gardenia. It draws you deeper with flowering linden blossom. The mixture is grounded in rare South Pacific barks and notes of dry drift wood.Click here to check out celebrities that selected Printemps. To see it in magazines click here.Jane's inspiration: Springtime in Paris - the City of Lights. The spring and summer rains yield a fragrant melange of fresh flowers in the parks and tree-lined avenues. Energy fills the air. Printemps contains ingredients reputed to support the throat and heart chakras - so if you are purchasing a perfume oil, we recommend turquoise. The vibrational energy of turquoise matches and magnifies that of the plant oils within the formula enhancing the powers of voice, truth and self nurturing, love and of course, romance. If Printemps calls to you, perhaps it's time to ste..
Our Bella natural perfume begins with a fresh spritz of pink grapefruit melded artfully with pink star jasmine, pink tea rose and lily of the valley. Its base is vanilla amber toast.Click here to check out celebrities that selected Bella. To see it in magazines click here.Jane's inspiration: Spring time flowers. After winter, blossoms sprout forth and share their subtle essence. Sweet pea. Lily of the valley. Lilac. Bella is fresh, youthful and exuberant, and captures the vital essence and excitement of being alive.Contains: Our proprietary fragrance composition of only 100% natural essential oils and absolutes distilled from flowers, fruit, citrus, seeds, grasses, leaves, bark, wood and spices via cold press, hydro, steam, CO2 or soxlet extraction and blended into a base of organic jojoba oil or grain spirits. May contain isopropyl palmitate from certified rainforest-safe (RSPO) palm oil. All formulas are perfume strength for long lasting performance.Available ..
A rich and seductive floral oriental, Psyche exudes sophisticated and..
A rich and seductive floral oriental, Psyche exudes sophisticated and precious woods, energized with exotic spices including cardamom and clove. Its heart is luscious heirloom roses, sultry west Indian magnolia flower with a subtle powdery lift of Italian bergamot.Click here to check out celebrities that selected Psyche To see it in magazines click here.Jane's inspiration: Jane has been asked many times if she has seen the film Perfume or read the book. When she finally did, she was inspired by the fictional story of competition between two Parisian perfumers. One had created the most popular perfume of the time, called Amour and Psyche. Jane read the description in the book and envisioned the scent with a more modern construction. Psyche was born. The ingredients of Psyche support the 3rd eye chakra - so if you are purchasing a fragrance oil roll-on, we recommend lapis or sodalite. These stones enhance the energy center of focus, wisdom and intuition found in the p..